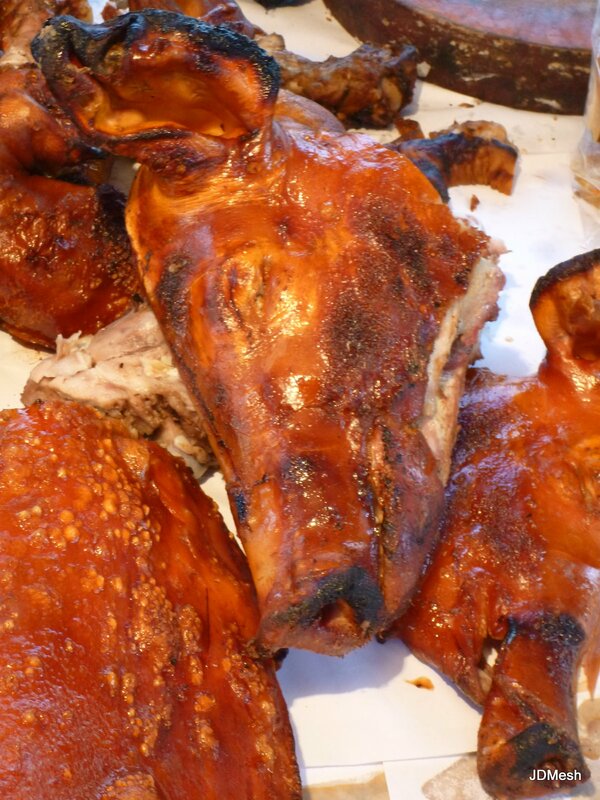 We've arrived in most countries with fairly clear ideas about the cuisine. Egypt: hummus. Thailand: pad thai. Argentina: steak. Germany: pretzels. These were all things we were familiar with. But Laos food? Not so much. Initially it seemed to us that Laos food was sort of a cross between Thai and Vietnamese, with a good measure of Chinese and a little sprinkle of French colonialism. And while it's true that these cuisines are reflected in Laos dishes, and served in many restaurants in Laos, there is a distinct Laos cuisine in itself. Here's a quick run-down of some of the food we enjoyed during our six weeks in Laos. 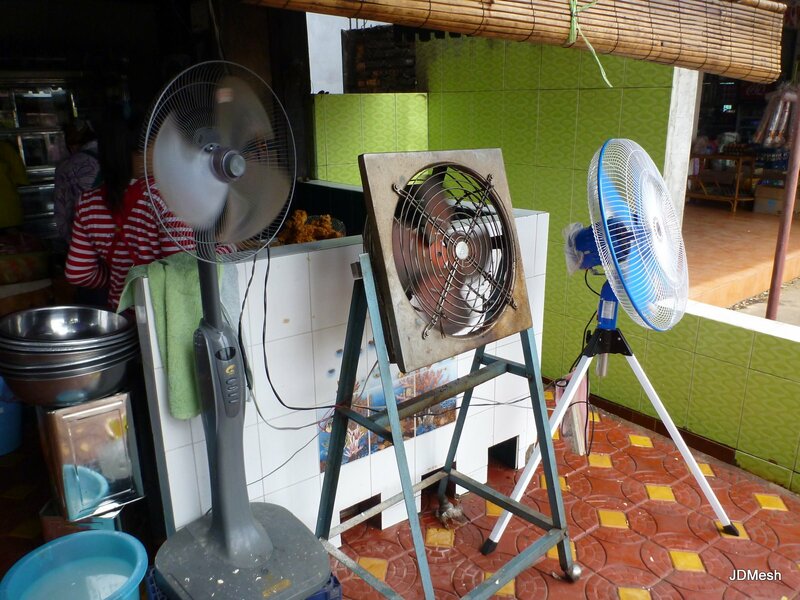 A special thanks goes out to our friends at VFI for our Lao eating education! 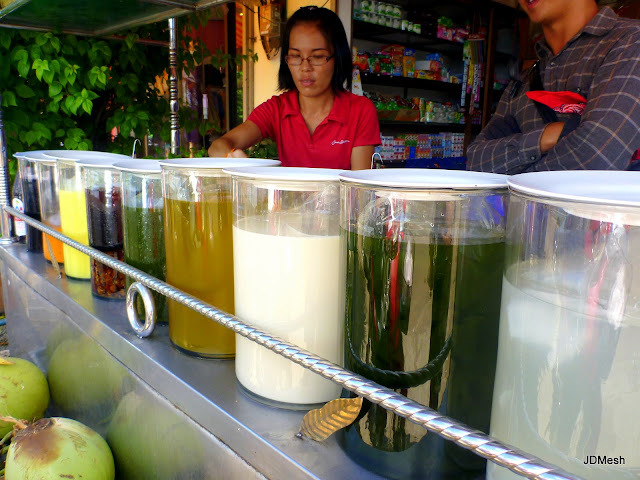 Sticky rice: Sticky rice is a staple of the Laos diet. 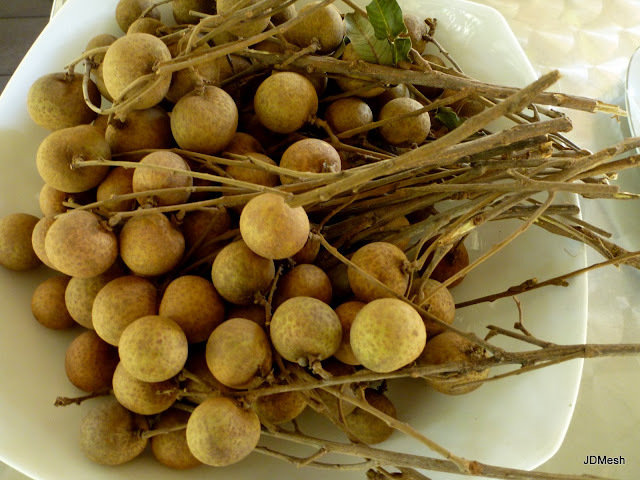 It's kept in woven bamboo containers and eaten with just about anything. Scoop out some sticky rice, form it into a ball, and use it to scoop up whatever else you're eating. I heart sticky rice. I seriously heart sticky rice. Dips: Do I love anything more than a sampler platter? Imagine my joy when I discovered a Laos dip platter! I've sampled mushroom, green chili, buffalo and tomato, but my favorite by far is the eggplant dip. Super spicy, it's best scooped with some sticky rice, although I've had it with everything from crudite to dried riverweed with sesame seeds (think crispy seaweed crackers - dried riverweed is really delicious but needs a serious rebranding). Pho and mo': We love pho and other Laos noodle soups in general. We ate it all the time - breakfast, lunch, dinner. In fact, we once ate it for six meals in a row. The best thing about Laos foe is its customizability. Start with a bowl of light, tasty chicken broth, with springy rice noodles, chicken or pork (slices, if you're lucky; if not, bone-in chunks), and some herbs. Add your own choice of: lettuce, cabbage, bean sprouts, lime, fresh mint, sugar, spicy chili oil, spicy chili flakes, fresh chili peppers, chopped peanuts, fish sauce, soy sauce, ginger, etc. Stir and enjoy. 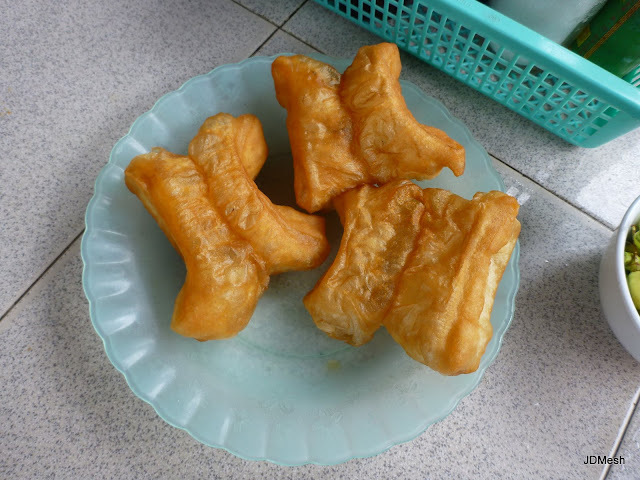 Sometimes we were offered little fried doughs to dip in the soup. Yum! It wasn't all clear soups, though. 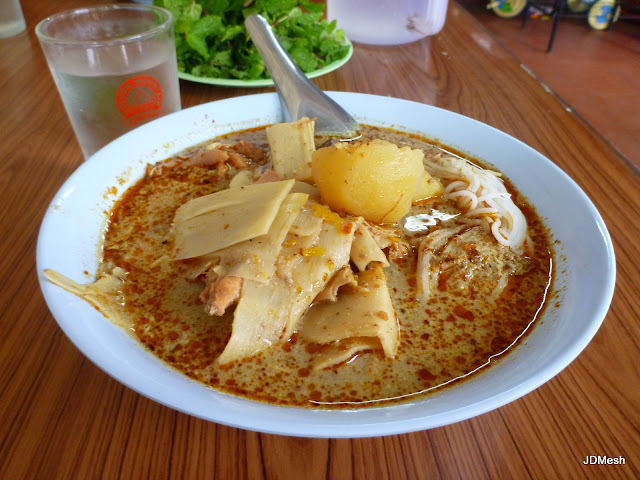 Dave loved this spicy chicken curry soup from a Vientiane stall. Thanks noodle soup. Love ya. Spring rolls: Spring rolls are everywhere in Laos. And, most fun, you can order them in various stages of deconstruction. 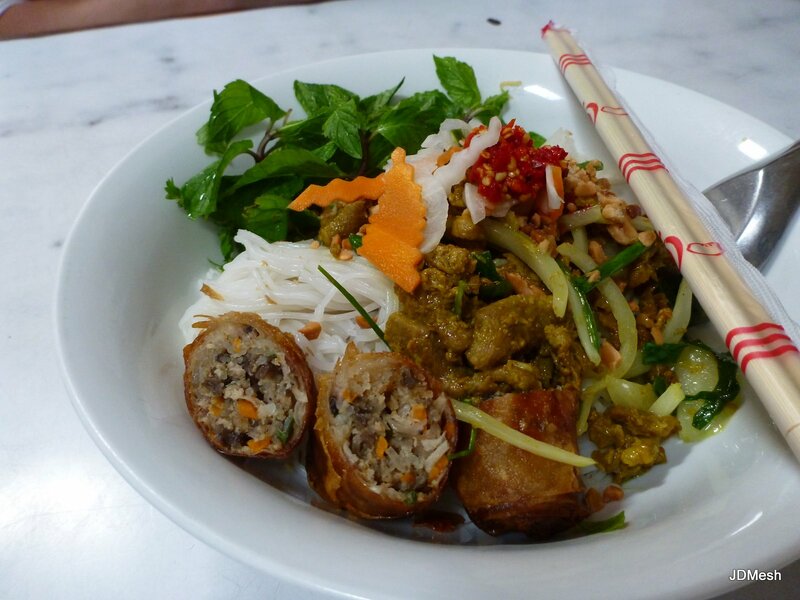 A fully deconstructed spring roll spread. DIY! First, take a sheet of rice paper (hidden under the lettuce) and dip it in water to soften it. Add lettuce, herbs, vermicilli rice noodles, cucumbers, sauce and a little piece of sausage. Wrap it up (if you can!) and shove into your mouth before it falls apart. Bo bon: basically a deconstructed spring roll salad, with a few pieces of a fried constructed spring roll on top! 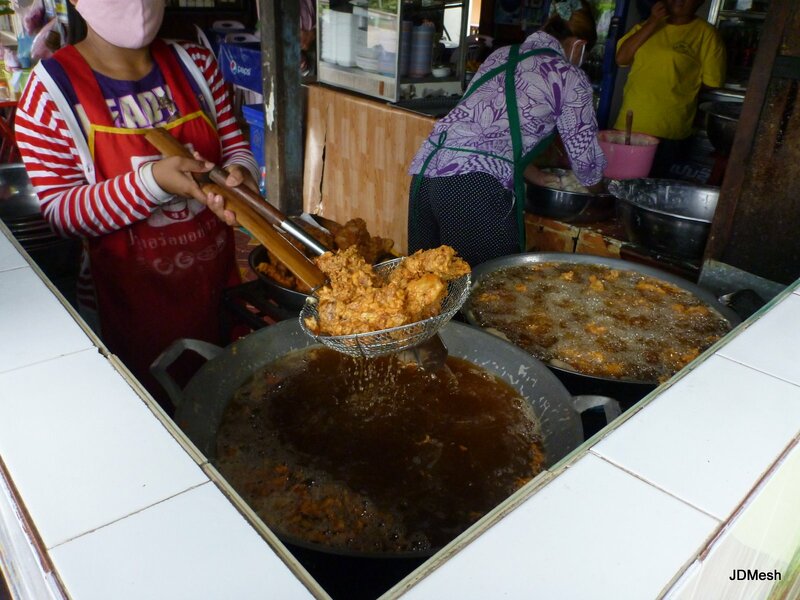 Fried chicken: As in Thailand, there's delicious fried chicken to be had in Laos. 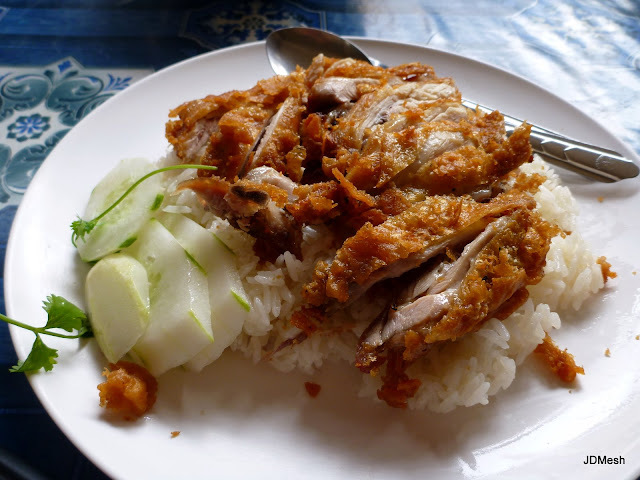 First, allow me to introduce you to your basic fried chicken stand, where your chicken is served sliced up atop a bed of rice and cucumbers. Dave had thought he had found his favorite friend chicken stand. 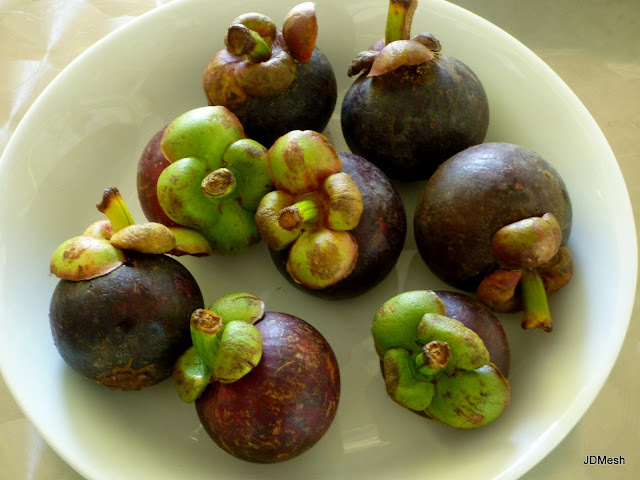 But then late one morning we were riding our motorbike down the road near work when we were assaulted with a delicious smell that was at once the height of freshness and the height of friedness. Cars were honking and pedestrians were shouting as Dave frantically swung the bike around. On our second pass, the shop was impossible to miss. The unorthodox venting set-up attested to the deepness of the frying going on. 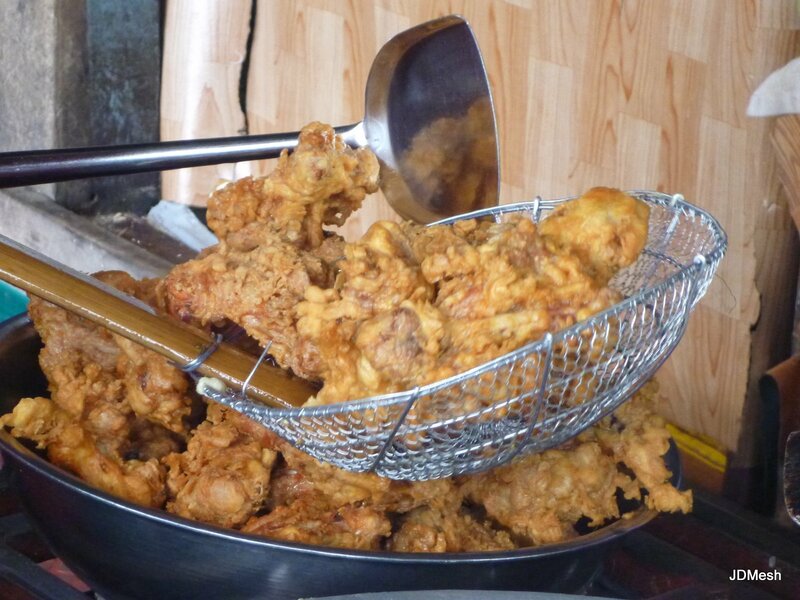 [DSM: Or it was a homing beacon to those of us with acutely developed senses for fried food]. Had Dave found his nirvana? Grilled meats: Street vendors sell everything from grilled chicken, pork, fish, beef, sausages and unidentifiable meats on sticks. 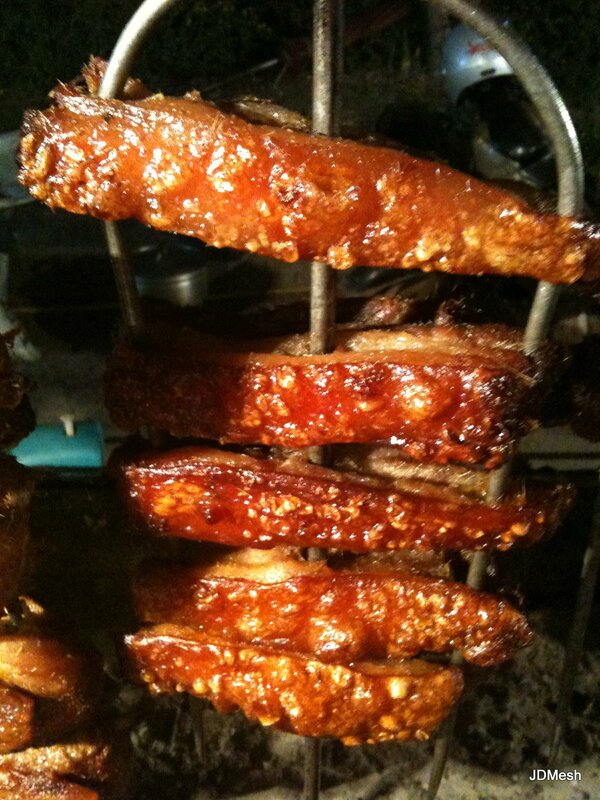 A popular beer drinking snack is grilled organ meats - we tried tongue, stomach (or intestines, we're not sure), and something else that may or may not be cow udder. We both concluded that we prefer skeletal muscle. Papaya salad: Laos papaya salad is quite different than Thai papaya salad. I have to admit that I prefer Thai papaya salad, although the Laos style did grow on me. This was often served incredibly spicy! Below, all the papaya salad fixins. Baguettes: Ahh, the fresh, crusty baguettes of Laos! After six months in Asia, is there anything more exciting than finding delicious bread? And the bread in Vientiane and Luang Prabang was indeed everything we had hoped for. Also: cheese! 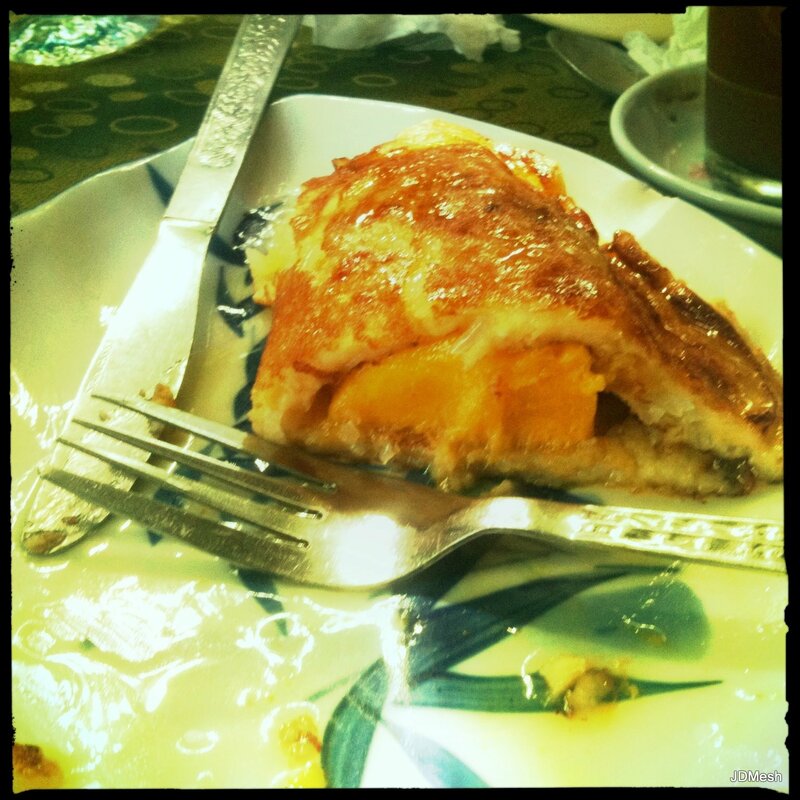 I gorged myself on baguettes and sharp cheddar in Vientiane. Best Cheese Sandwich Award: First place, Pinporn Market/Benoni Cafe (they use the same kitchen) for having the best baguettes around. Second place, Noy's Fruit Heaven, for packing her baguette with excellent tomatoes and lots and lots of cheese. And... this photo is from neither of the places listed above. 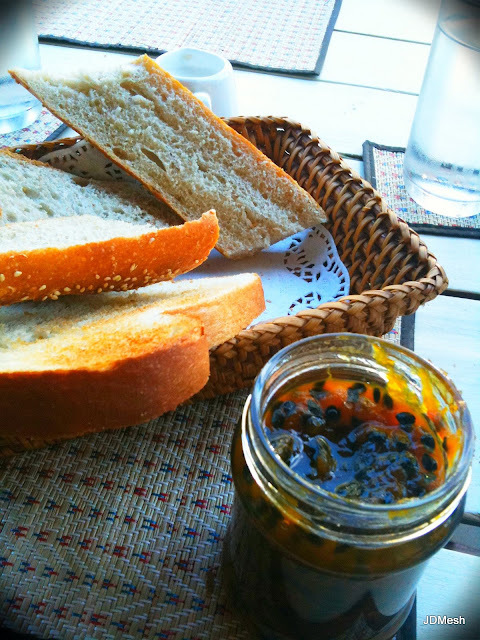 Here, we pair our baguette with delicious sweet and tart passionfruit jam that we picked up in Kampot, Cambodia. A fruit shake lady hard at work. 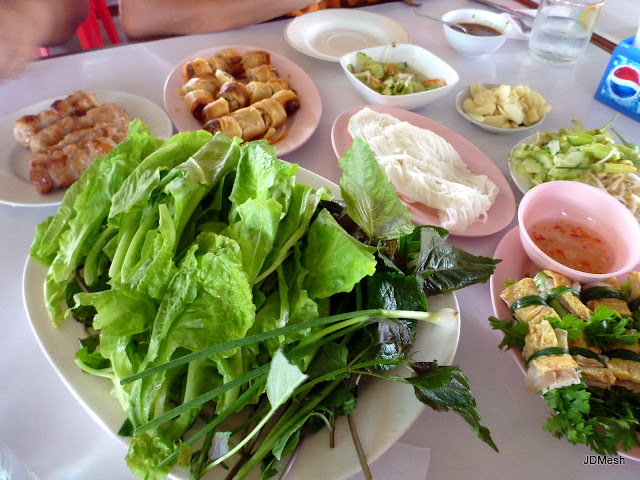 Laap: Laap (also spelled larb) is a salad made with minced meat (chicken, beef or pork) and vegetables and flavored with fish sauce, lime juice, chili and fresh herbs. 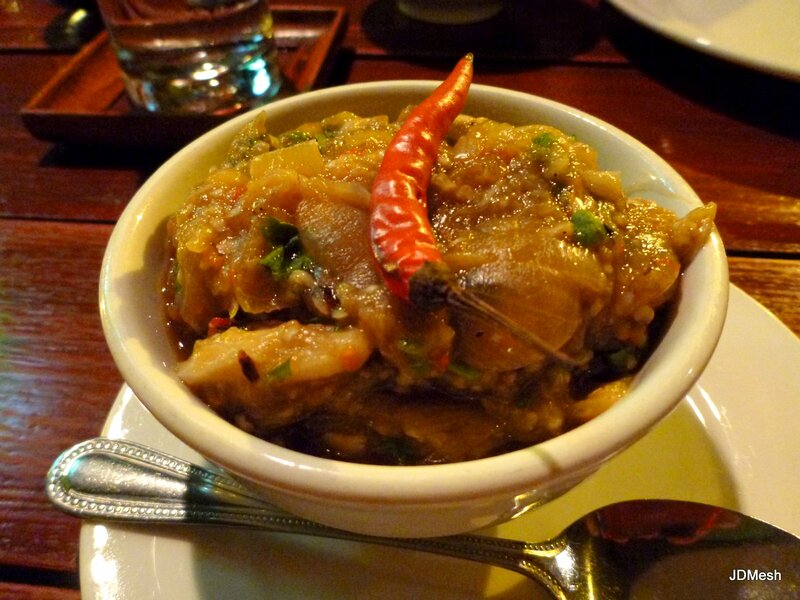 Laap is served room temperature with a side of sticky rice. I was a big fan; Dave not so much. 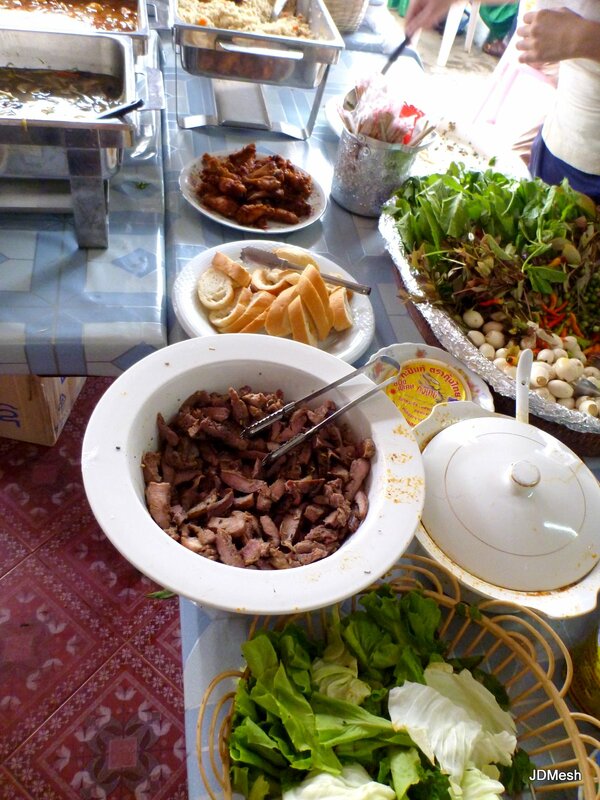 Family-style dining: The meals we shared with our Lao friends were a family-style assortment of little dishes. My favorite style of eating! Can you spot what we Dave brought? This vendor served up freshly steamed BBQ pork buns and freshly fried pork dumplings. A sticky rice pancake filled with fresh mango. Dessert for breakfast! Laos coffee. Thick, strong coffee and sweetened condensed milk. I prefer mine iced. 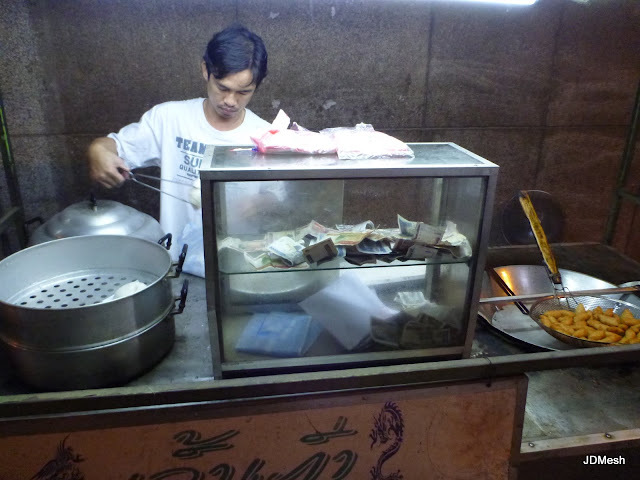 Ladies at the Luang Prabang night market dish up spring rolls, grilled meats and fish, noodles and more. A "Laos sandwich" stall - a fresh baguette with grilled chicken, mayo (optional, and not on my half! 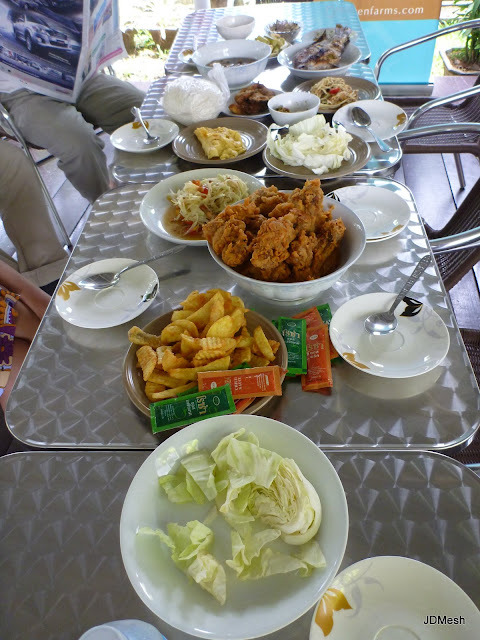 ), sweet chili sauce, hot chili sauce, lettuce, tomato, cukes and shredded fried egg. $1.50. Spicy pork, onions and greens with rice and a fried egg. And finally, Mr. Wong's tom yum martini from Sticky Fingers deserves a special shout out. Thanks for the cocktails, and our motorbike, Mr. Wong! Now that you are ready to hop on a plane and head to Vientiane, here is a map with the spots above and a few of our other favorites.